It is believed that by the end of 2020, nearly 34 billion smart devices will be connected to the Internet. In the coming years, big industries will invest as much as $6 billion over IoT. Amazon’s Lab126 is said to invest 55$ million on IoT. How is IoT the Future of Mobile App Development? When it comes down to IoT, it offers diversified options of connectivity. From controllers to sensors, you can connect a lot of things. It is due to this fact that mobile applications in present and future need to be versatile enough to support several platforms, devices, and operating systems. And this demands developers to come up with innovative techniques and thoughts to connect things smoothly including smartphones, electronics, wearable devices, tablets, and sensors. Mobile commerce or m-commerce is quickly gaining fame owing to IoT. Several retailers are exploring the benefits provided by mobile commerce due to advantages offered by built-in sensors and connectivity of mobile phones. This makes transaction processing smoother. A lot of devices are capable of supporting IoT. And these devices hold a substantial amount of data to be used for business purpose. Now the problem is whenever such big data is to be processed, the performance of devices slow down and the chances of frequent crashes increases. The solution to this problem is developers coming up with a mobile application capable of handling big data processing and offering smooth IoT experience. When several devices are connecting to a large network, the security risk increases as they are connecting through several different protocols and operating systems. The data stored in such devices comes to risk as well. IoT comes to rescue during such times. It is capable of storing data securely. The mobile applications need to perform error detection and encrypt hardware using codes. So the application connecting over large networks can scan with IoT protection. Internet of things helps in operating the mobile app industry seamlessly. It simplifies several human activities by offering services that are in synchronization with that of the mobile apps. It plays a crucial role in increasing the performance of the mobile industry and working people alike. Today, most of the users want their mobile apps to work fine with several systems and platforms. For example, they need their homes to synchronize with their native apps. Frameworks allowing IoT technology allow additional coding for the development of hybrid applications. And this allows connecting physical devices like vehicles to offer a unique experience to its users. Mobile app development is accelerating by the interaction of cloud systems with the IoT. Now, Mobile apps develop in real time with the built-in framework in cloud technology. It allows businesses to develop mobile apps with more ease. This advancement in IoT will allow several IT companies and developers to share their programs openly. This calls for the growth of mobile applications as smarter minds will step in to make the most out of this opportunity. There will be more transparency and collaboration of companies will open a new horizon in the mobile world. Gathering of data from several devices and app users gives rise to the expanding scope of business. For example, Uber app collects data from taxi drivers and customers continue to allow customers to call a taxi cab with only a few taps on the screen. This is possible due to IoT. Companies have to work out with the increasing complexities of developing IoT applications. However, IoT is in its blooming stage and this stands out the chance for companies benefit from this opportunity. They get a chance to account for the growth of IoT business. The future of IoT will depend variably on how well the businesses adapt to this technology and make the most out of it. What’s your take on this? 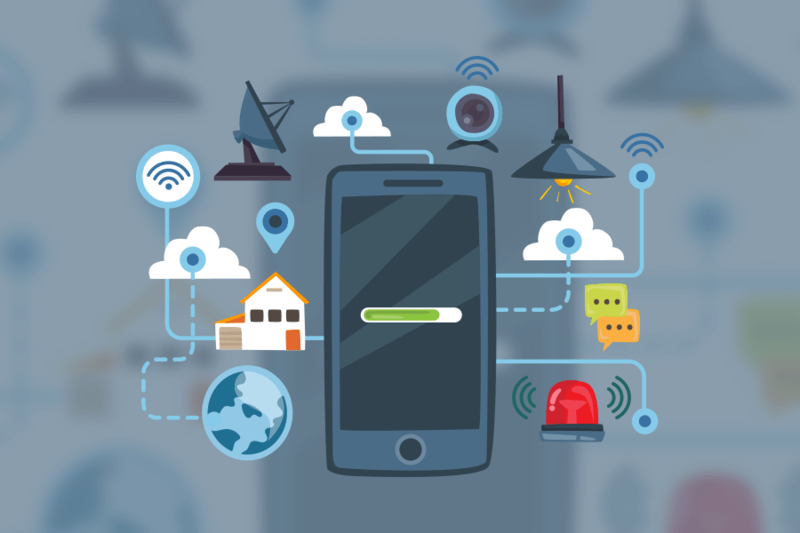 Do you think that the Internet of Things will be the Future of Mobile App Development? Mention your thoughts ion the comment section. Older What Goes On Behind the Scenes of Creating a Successful Mobile App?